CONDITION REPORT: All 'period' original dial, hands, bezel, crown and case. Watch shows signs of natural aging with a chocolate faded bezel. There is a slight marking on the periphery of the dial caused over time from the crystal ring. This reference CK2998-3 is the last in the lollipop hand for a Speedmaster with the 2998 reference. 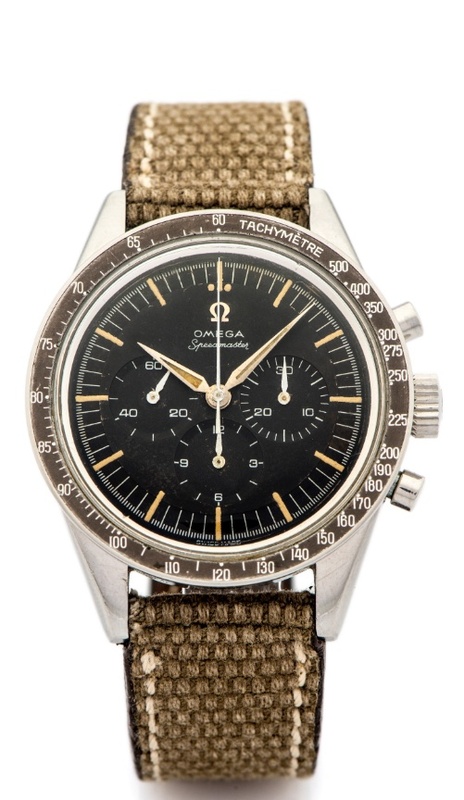 The watch, with a 17 million serial number, is in excellent and condition and comes with an archives extract from the Omega museum. The archives note that this piece was delivered to Mexico in 1961. This is an excellent example for this reference and is very rare and collectible.